We’ve all been there, and quite literally so: one of the most important areas in your home and the one you certainly use on a daily basis, bathrooms have long ago stopped being only a mere household utility and have taken on a whole new guise in the modern style-oriented home. In place of their once minimalist designs and utter practicality purposes, modern lavatories have now also become a place where you can express your style, taste and personality through various stylish upgrades and smart accessories. So, if you’re planning a home renovation project and want to make your bathroom visually appealing and comfy on top of functional, we have a short list of handy tips right here to help you pick the perfect items to supplement the air and grace of your bathroom. looking for chic bathroom accessories is your total budget for lavatory overhaul. Based on the amount of money available for bathroom accessorizing, you will be able to plan and choose the items after your taste and needs which fit your bill perfectly. 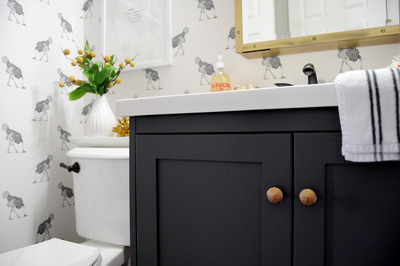 The knack to a well-organized bathroom with all the vital accessory accents lies in optimal budgeting, so bear your financial brackets in mind when looking for decorative bathroom pieces. 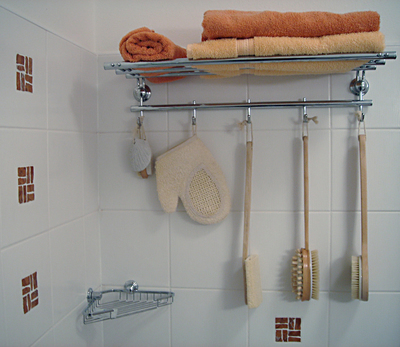 If you really want to minimize the time spent inspecting various bathroom items and deciding which ones would go best with each other design- and color-wise, make a list of the necessities before you hit the store. According to recent survey, consumers who plan their purchase in advance tend to spend less money on needless items than those who set out on a shopping spree without preset purchase objectives. In order to get all the critical odds and bits for your lavatory, make a list of the items you definitely need and then draw up another list of the pieces accessories you would like to have in your loo but can do without practicality-wise. This will help keep tabs on your priorities when searching for the right items. When browsing through online catalogues or the Bed & Bath section of your local department store, look for items that promise extreme functionality and trustworthy longevity of use but do not necessarily have a popular brand and a hefty price tag to go with it. According to the people behind Sydney-based company Oxford Bathrooms, one of the frequent misconceptions among average household commodity buyers is that the price is a guarantee of product quality and long lifetime – but based on experience and common sense, nothing can be further from the truth. Be smart when shopping: check the spec label for every item and compare the prices of several products of the same type, such as faucets, lights or curtains, in order to be able to pick the best bargain. To achieve a stylish yet functional air in your bathroom, pick faucets that play well with your bathroom fixtures. For instance, a streamlined sink and tub design will look great if topped by a modern-looking goose neck faucet and a large showerhead. On the other hand, embellished or accented fixtures will shine at their best next to a traditional brass-and-porcelain faucet combo. Whichever look you opt for, check the purchased items before leaving the store to make sure all your bought goods are in good working order. True Colors: Plain White, Accented or Neutral Tones? In case you’d like to be able to change your bathroom style now and again, it would be a wise decision to get some plain or neutral fixed accessories that will look well regardless of the color of your tiles. 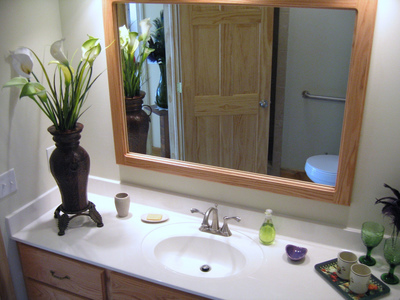 For example, set pieces like plain porcelain tub, sink and toilet in all-white or neutral tones will work great with almost any bathroom décor, while accented or bold colors may not come across as tastefully matched with just about any tile tone, so they will require some careful picking and choosing in the post-overhaul bathroom design adjustments. Though you will probably not need as strong a bulb in your bathroom as you normally do in your bedroom, kitchen or living room, getting adequate lighting for your lavatory is a must when overhauling the place. A vital accessory that can add a subtle and soothing note to your bathroom atmosphere, LED lights are extremely energy-efficient and eco-friendly, so they are a good option if you’re an eco-awareness enthusiast looking to minimize their waste impact on the planet. On another note, wall sconces, pendants and similar lamp fixtures would be a good choice for spacious bathrooms with lots of stylish pieces and extras so check them out if you’re aiming for style royale in your toilet. 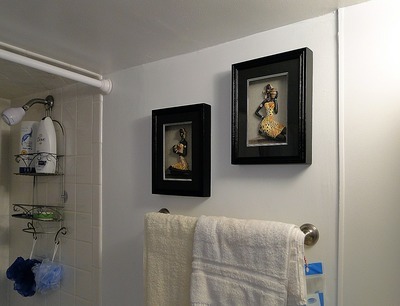 After you’re done buying the vital bathroom items like tubs, faucets, sinks and toilets, it would be a good idea to add a dash of sophisticated detail to your lavatory through some small yet tasteful accessories like uniquely shaped soap dishes, clever toothbrush holders, classy shower curtains and all-metal towel hangers. A tip from the design experts: when buying shower curtains for your bathroom, avoid garish, bold or overly bright colors and use these shades as unassuming accents in brush holders and similar small objects if you really can’t do without vivid tones in your toilet. Remember: the key to a well-balanced bathroom is moderation and taste, so make sure you stick to them when shopping for your bathroom accessories next time. In the era of all things beautiful and stylish, adding a dash of style to your bathroom is an excellent idea that will contribute to an improved quality of your home as a functional yet pleasant whole. With some care, color awareness and a relatively modest budget, you can do wonders in your toilet and decorate it after your taste and needs perfectly. From bathtubs and sinks to towel hangers and toothbrush holders, your room for design improvisation springs infinite - just make sure you don’t forget to buy the basics first and tailor the overall style based on their tones and patterns - and your leftover budget, of course.